It's the Singapore Grand Prix this weekend, and what better way to celebrate than to announce a contract extension for the race? 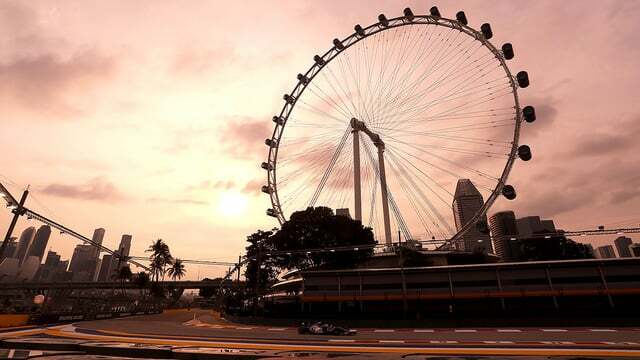 Singapore joined Formula One in 2008, and celebrate their tenth race this year, but they are set to stay on the calendar until 2021 after a new deal was agreed between organisers and Formula One Group. Chairman Chase Carey says: "The Singapore Grand Prix is a signature Formula 1 race and therefore we are very pleased that it will continue to feature on the calendar for a further four years. The first ever night race in this sport is one of the most thrilling events of the year, taking place against the stunning backdrop of Marina Bay." The CEO of Singapore's tourism board added thoughts from a different viewpoint, saying: "The race in Singapore has provided an excellent platform for businesses to test bed new lifestyle initiatives and products. This has not only created an exciting atmosphere during the race season, but also injected creative concepts and experiences that continue to attract tourists to Singapore all year round."